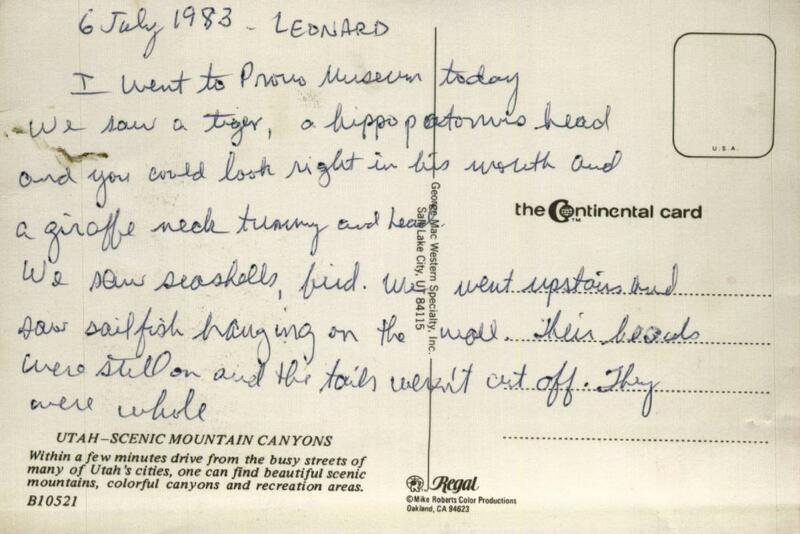 (LEONARD) I went to Provo Museum today. We saw a tiger, a hippopotomus head and you could look right in his mouth and a giraffe neck tummy and heads. We saw seashells, bird. We went upstairs and saw sailfish hanging on the wall. Their heads were still on and the tails weren't cut off. They were whole. UTAH—SCENIC MOUNTAIN CANYONS Within a few minutes drive from the busy streets of many of Utah's cities, one can find beautiful scenic mountains, colorful canyons and recreation areas. Clearly dictated. I was the kid who always looked with morbid fascination at the seafood section of the supermarket, even though (or because) we never really ate seafood. I went to this museum again recently! It's on the BYU campus. The "heads" are heads of animals shot for game, and then donated to the cause of science in a fit of remose/not having room in the house. I had absolutely no memory of having been there 25 years earlier. I like the idea of my dictation making it into a newspaper: "WE SAW SEASHELLS, BIRD". 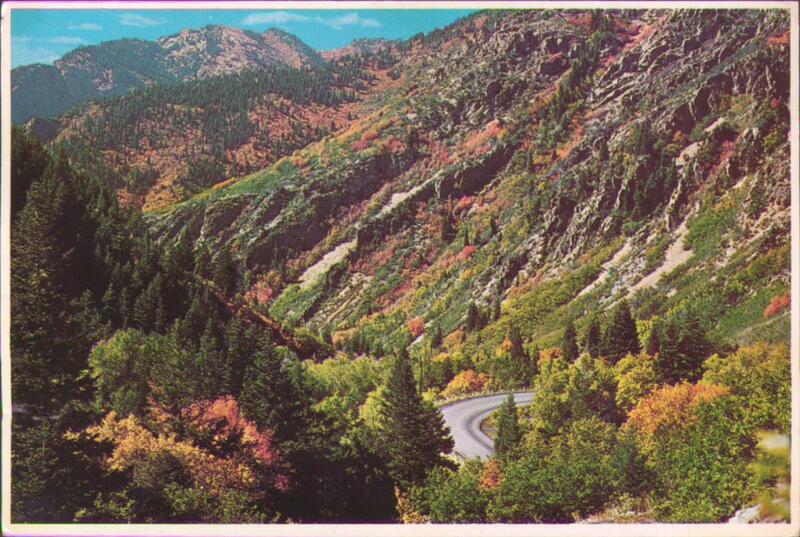 I can guarantee you that that shot on the front of the postcard is pretty damn far from any street in Utah that might be considered "busy".